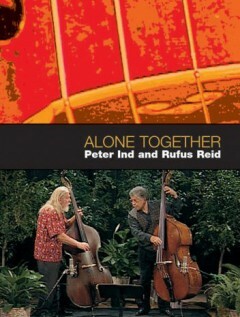 On “Alone Together” by Peter Ind and Rufus Reid, two long time friends share favorite songs uniquely arranged for the rare pairing of two basses. Shot in an intimate setting, Reid and Ind draw you in with their joy of making music. Alone Together is a study in style and technique for any acoustic bassist. DVD special features include song introductions and instruction, question and answer with Ind and Reid and a sampling of Ind’s paintings.